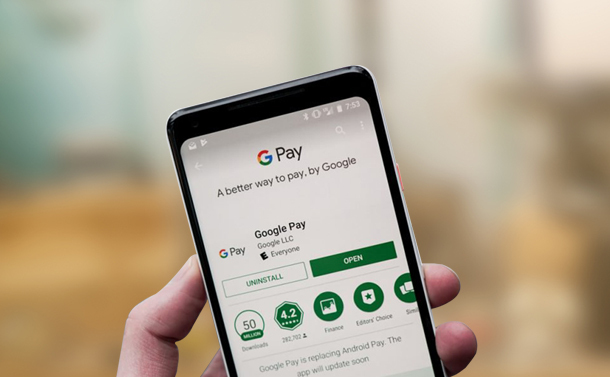 Last month on 20th, Google launched its new app for Android users called “Google Pay”. However, the app was only available for UK and USA but the company said they are planning to launch it for the entire world in coming weeks. Google has rolled out the significant app that is fast yet straightforward to pay millions of places be it for online purchase, restaurants and shopping malls. The app is capable of bringing everything at one place that you required at the time of your checkout and helps you to pay via your smartphone. Moreover, the app is going to support all the devices such as Android phones, watches, and tablets. So, let’s check out what Google Pay is and what does it has to offer you? It’s a recently introduced app that is also known as a new smartphone payment system and digital wallet by Google. This incredible app lets you store your debit, credit, discount coupons, gift and reward cards so that you can make online payments for the things you purchase. It is a virtual platform that contains your financial information that is only shared with you. Moreover, it’s a secured platform that doesn’t share or allow others to view your stored information at the time of payment. Well, in case you’re an existing user of Android Pay (Google’s previous app for in-store payments) then all you need to do is update the app so it can automatically bring you to new Google Pay app. Moreover, the app will automatically carry over the financial and stored information like your debit and credit for your comfort. In case you are a new user then firstly you need to download and install the app from Google Play Store. Once the installation process is done, you need to follow the setup procedure to add the payment mode of your preference. Note: In case your device doesn’t have the hardware compatibility to the app then you will be notified by the app at the same time. How To Work With Google Pay? Using the app is extremely easy and straightforward, all you need to do is, first set up your account with the app. In case you have Near Field Communications then you can easily use your device to pay for the goods and service like a contactless card wherever you see the Google Pay symbol. Whenever you wish to make the payment, all you need to do is just hover your phone near to the payment terminal. Please keep in mind that when your phone makes vibration noise then it is to authorize the payment. In fact, you will get the visual confirmation regarding the payment on the screen of your smartphone. Moreover, it is possible to work with the app to pay for the other apps such as DoorDash, Fandango, and Airbnb. What is Google Pay Send? Google Pay Send is a rebranded wallet of Google that lets you receive and send money from family members and friends. Google Pay Send is alike Venmo and other peer-to-peer payment services. If you already have the Wallet installed on your device that the latest update will bring it to Google Pay Send. Some of the users might wonder that why even have Google Pay Send exist when Google Pay app includes Google Wallet. Well, the reason is, for now, peer-to-peer payment capabilities are not ready to get onboard in Google Pay app. In fact, at the time of the launch of the app, Google said it might take a few months to get it done for its users. However, using the Send simply provides a Google Wallet a Google Pay branding (along with a UI update). Well, all the new users can enjoy Google Pay app immediately. However, an existing user of Android Pay needs to wait for a little while to get the latest update. Moreover, it’s the same story for Google Pay Send, a new user can install the app quickly without any delay but the users already have the Wallet they need to wait for the update to get it on your smartphone.